I caught up with Juxx Diamondz for a brief discussion before his new album Lord Knows drops on August 3rd. I heard some of the album already and it sounds great. You are in for a treat when this young fella from Brooklyn drops his sophomore album. The new single Playing With Fire is a doozy and a half, check out the music video at the end of the interview. MusicalFury – Thanks for your time, what have you been up to lately? MusicalFury – Hip hop has been lively the past few weeks or months with a lot of new material dropping. Are you looking to add to that list with any new music? Juxx Diamondz – Yes, my first album I dropped which is “Juxx Season” came out in 2014 so I’m ready to be among the rest to drop a new project for the world. MusicalFury – A lot of new albums came out recently with 10 or less tracks, do you feel the lesser amounts of tracks may enable artists to select higher quality music and lessen the amount of filler on an album? A lot of the new Kanye West produced albums that just came out recently are all about 7 tracks a piece but then for a few more dollars you have a Drake double album… What are your thoughts? Juxx Diamondz – I mean that is the new wave. It’s like the audience can’t sit through a whole 14 song album and some can. Some people have short attention spans. MusicalFury – What is your label situation as of now, are you currently signed to anyone or are you planning on releasing your new material fully independent from the big corps? Juxx Diamondz – Right now I am signed to Back Block Music Group which is me and Also Signed to Them Recordings which is headed by MIc Handz which is signed to Erick Sermon’s Def Squad label and Innocent. And any music that I am releasing is indy no big machine at all. MusicalFury – One thing that I noticed recently is that less and less artists are releasing music videos for their music. I understand that the big machines like MTV and VH1 do not provide a platform for this anymore but YouTube is a perfect place to release videos. Will you have music videos for your new music? I feel it adds a creative visual element to the song that certainly helps with whatever message is trying to be relayed in the music. Juxx Diamondz – Yes, I will have videos for a lot of songs I do because it paints the picture to the audience on what you are listening to. The reason why the MTV’s, vh1, bet don’t push the videos is the fact that internet is the move where instead of being at home people are more on their androids, iphones, tablets and etc.., so it’s more accessible to the artist’s video opposed to trying to get home and watch certain videos on tv. MusicalFury – There has been a lot of activity happening lately with artists from Brooklyn with good situations like Maino, Uncle Murda and Casanova. Maino continues to make a lot of noise with new music, Uncle Murda signed to 50 Cent within the past year or so, Casanova is involved with RocNation and is about to release an EP. Papoose is still getting busy as well, are you able to feed off of the energy from these other artists? 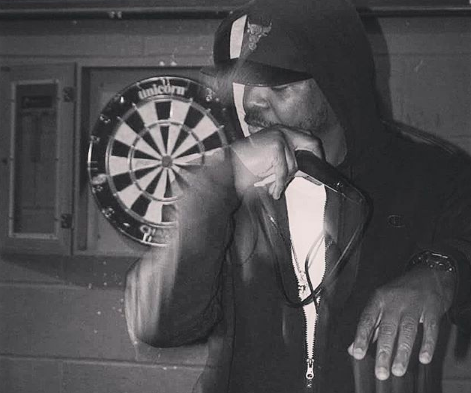 Juxx Diamondz – Truth be told I get my energy from other artist like Shabaam Sahdeeq, Napolean Da Legend, Royal flush, Mic Handz, and the list keeps going. MusicalFury – It appears that NY is starting to get a lot of shine in general lately, three of the hottest female artists being from NY (Remy Ma, Cardi B and Nicki Minaj). You also have up and comers like you, Casanova, A Boogie Wit Da Hoodie and others getting much recognition as well. Do you feel that the hip hop environment has been less focused on where you are from now and finally allowing new sounds into the game? Juxx Diamondz – Let me make this clear I’m a hip hop head I’m boom bap I love barz and I love content. NY started all this and it traveled all around the world. Yes, it’s a new sound but just evolved and I love what the younger heads are doing the only thing it is missing is bars and the lyrical content to go behind it. MusicalFury – Recently there was that terrible incident that took place in the Bronx with the gang members brutally slashing a poor 15-year-old kid to death. Regardless of the circumstances leading up to that, shouldn’t that be denounced on a large scale where nothing like that should ever happen? A lot of artists were touching on that topic like Mysonne and Maino among many others. What do you think it will take in order to get things like this to stop? Juxx Diamondz – Prayers goes out to the family to the young gentleman who lost his life to act less violence. But what would stop is the young generation needs things to do like community centers and activities to keep the kids off the streets. If kids have things to do besides run the streets, be in a gang, or just trying to act like they are tough, you wouldn’t have to worry about kids killing kids. I am tired of the youth killing each other! MusicalFury – Last but not least, I always ask about someone’s religious background and beliefs. I may have asked you during the last interview but can you please provide me with a brief explanation on what your spiritual thoughts are and what helps guide your steps throughout your days? Juxx Diamondz – I’m not into the religious thing that much but I grew up in a Baptist household. what guides through my days is I’m always positive and I let go and let God handle it. GOD IS GOOD! MusicalFury – Thank you for your time and I wish you continued success with your career.